Product #46623 | SKU 14160 | 0.0 (no ratings yet) Thanks for your rating! The K&M Stand for Electric Double Bass is designed for keeping your electric double bass in mind. A flexible metal support bracket with a protective, non-marring rubber coating securely holds even the most delicate instruments. You can easily place your electric double bass on this stand with its recently developed V-shaped base, which secures the endpin and prevents it from slipping. 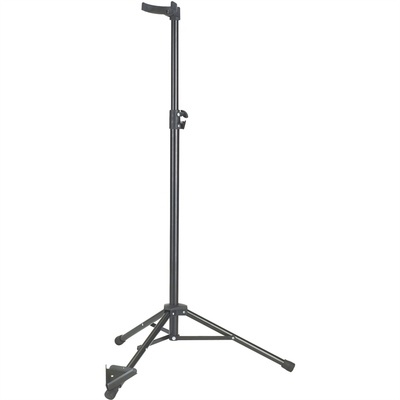 A flocked bow holder further adds to your convenience.Additionally, this stand’s compact 2-piece folding design is highly suited for musicians on the move.